Formerly a musician at the Royal Opera House, Covent Garden, Jon Tolansky specialises in making documentary features on composers and performers for international radio organisations and recording companies. Prominent among these institutions are the BBC, WQXR New York, the Chicago-based WFMT Radio Network, the Canadian Broadcasting Corporation, Radio International, EMI Classics, the Decca Music Group, and VAI Records. As an independent producer he has pioneered the first sets of CD series featuring documentary profiles, in which he has personally recorded artists such as Dietrich Fischer-Dieskau, Mirella Freni, Angela Gheorghiu, Carlo Maria Giulini, Marilyn Horne, Yevgeni Kissin, Luciano Pavarotti, Ruggero Raimondi, Mstislav Rostropovich, Giuseppe di Stefano, Dame Joan Sutherland and Jon Vickers discussing their lives, careers and musical repertoire. Jon Tolansky has contributed articles on music and performers to the Oxford Companion to Music, Cambridge Guide to the Orchestra, Opera House (the magazine of the Royal Opera House, Covent Garden), On Air (the magazine of the BBC World Service), Avenue Magazine (U.S.), Andante Magazine, Bambill (Brooklyn Academy of Music publication), Living Music (the magazine of the London Symphony Orchestra), The Lady, The Gramophone, Opera Magazine, Limelight (the magazine of the Australian Broadcasting Corporation), Swiss Style Magazine, and Classical Record Collector. 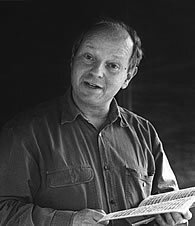 In 2006 he co-wrote the autobiography of the baritone Peter Glossop with the artist. Jon is in frequent demand as a lecturer and speaker. He has given presentations about performers to international performance organisations, music colleges and universities. They include the Edinburgh International Festival, Les Sommets Musicaux de Gstaad, Cambridge University, the Royal Academy of Music, Trinity College of Music, Birmingham Conservatoire, the London Symphony Orchestra, the Philharmonia Orchestra, the Royal Opera House Covent Garden, the Royal Philharmonic Orchestra, the Lincoln Center Festival, the University of Southern California at Los Angeles, and Stanford University. Additionally he sometimes hosts public interviews with artists preceding their appearances at venues such as the Royal Festival Hall, Barbican Centre and Royal Opera House Covent Garden. He initiated and chaired the 'Profile of the Artist' events organised by the Music Performance Research Centre (which he co-founded – it is now called Music Preserved) at the Barbican Centre, a series of live public interviews with some of the most highly sought after performers of our time. He also initiated and hosted an historical series of interviews with some dozens of major international performers for the Royal Opera Archives (now called the Royal Opera House Collections) to celebrate the Verdi Centenary in 2001. Jon was born in London where he currently resides. Rooted in the great musical compositions are what could be called The Great Ideas of Humankind : Love. Virtue. Justice. Honour. Courage. Sacrifice. Soul. Classical in Concept reveals the stories behind the music from which come some of our most defining thoughts and dreams. Monte Carlo Opera Masters is a weekly fine arts series of superlative quality. Jonathon Tolansky's depth of knowledge and sensitive wit combine to give the listener a more meaningful understanding of the great opera repertoire. KeyMarket Media produces highly specialised entertainment programs for radio, live internet streaming and podcasting. Each of our programs and features is built around individuals and concepts with strong track records of success. James Burke brings his famous Connections concept to radio for the first time. Connections provides an exhilarating and often amusing romp through the labyrinths of days past; a fantastic view of the technological trail of evidence from one event to another and from one idea to another and how each relates to the next.